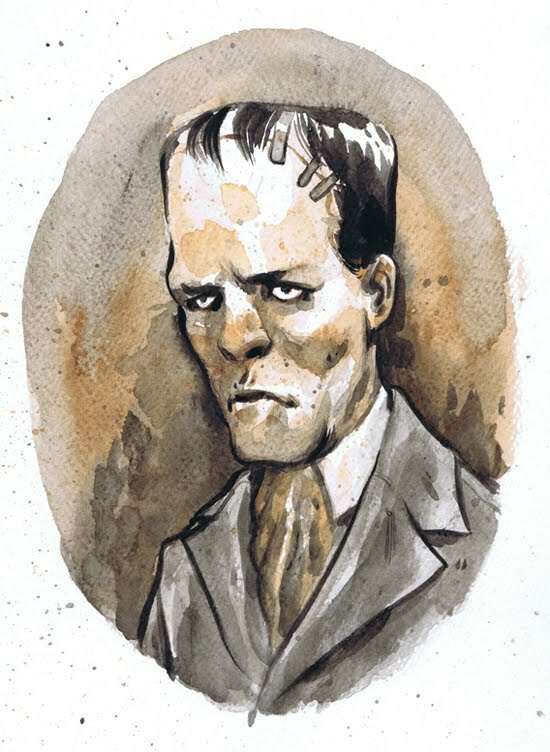 The Monster is a gentleman, never mind the ominous stare and the alarming forehead, in Tyler Crook’s handsome watercolor portrait. Crook recently took over art chores on B.P.R.D., the superlative horror comic overseen by creator Mike Mignola and written by John Arcudi. Crook keeps a terrific blog where the image above was found. Go look, other Universal Monsters get the suit and tie treatment.